Information is gathered in several ways, depending upon how you are using the website. When registering to use this site, you are asked to provide your name and related details. And if you sign up for newsletters, sweepstakes, contests, chat rooms, message boards and similar interactive areas, or purchase something, we need to know who you are. Information is also collected automatically using electronic tools. Most web sites use ‘cookies’ to recognize you and your information, and may store data such as a user name and password so you won’t need to enter it each time you visit. It might determine how often you’re exposed to a specific advertisement. It also may note your Internet Service Provider (ISP). As technology evolves, we may use other methods to collect information. There may be times when you can refuse to provide information, such as by setting your browser to refuse ‘cookies’, but doing this may make it impossible to access sections of the web site, or you may need to enter your user details each time, and the site won’t be customized for your preferences. The information we gather is to make your visit to our site the best experience possible. It enables us to customize things such as content and advertising, which might be of interest to you. Your information is never shared, and your private information remains private. Any information that doesn’t personally identify who you are might be used in conjunction with similar information from others to improve our web site and the services we offer. This gives us knowledge about which features are most popular, or what our visitors are looking for. Some of this information may be shared with our advertisers, on occasion, but it will never include any information that is personally identifiable. Your information is used only as legally permitted. We may divulge your information when presented with a court order or when legally required, in order to collect monies owed to us, or when requested by law enforcement agencies. In these circumstances, it is unnecessary to notify you of this. Some third parties, such as our web hosting service, which provides specific support, may also access this information. As our business expands, we may buy, sell, or partner with other companies. In these circumstances, information about our web site users may be among the data transferred. “Cookies” may be used by some of our affiliates or partners in order to determine what you might like, or the type of advertising that’s presented to you. 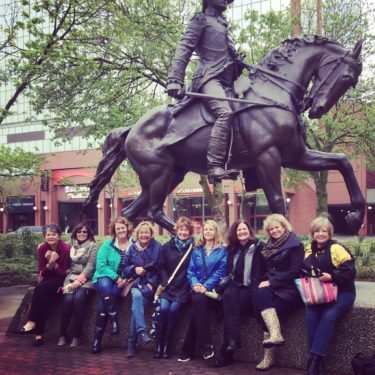 Fort Wayne Food Tours, LLC cannot determine what is used by these third parties or how it is gathered. Therefore, we are not responsible for anything taking place by these third party companies, including their policies. Please be aware that any personal information disclosed on chats or message boards can be considered public. As such, it can be used by third parties without the knowledge of Fort Wayne Food Tours, LLC, as this is outside our control. If you don’t want to receive unsolicited messages, please be careful what you disclose and where you do it. We will never share personal information, but are not responsible for guests that share personal information in a public forum like a personal email or phone number on a social media platform. Fort Wayne Food Tours, LLC cares about the privacy and welfare of children, and will never knowingly gather Personally Identifiable Information from anyone, except when legally allowed. We do not require direct contact information for teens. While they are welcome to provide their contact information upon check-in for tours, it is not required and will never be shared. Fort Wayne Food Tours, LLC operates and is controlled by the laws of the State of Indiana, U.S.A. Judgment may be brought by any court having jurisdiction. Join the Fun and Devour the City! Our fantastic downtown restaurants are excited to show what they can do to make your visit memorable, so come and experience the passion we local Hoosiers have for our city. © 2019 Fort Wayne Food Tours. All Rights Reserved. Part of the EzTix Community of Event Operators.